Santorini is the most popular island in Greece. It may be the most popular island in the world. It is located between Ios and Anafi islands. There are few travel destinations that combine beautiful beaches, spectacular scenery, ancient cities, amazing restaurants, some of the world’s best wine, and an active volcano. Santorini is a perfect vacation spot for those visiting Greece. 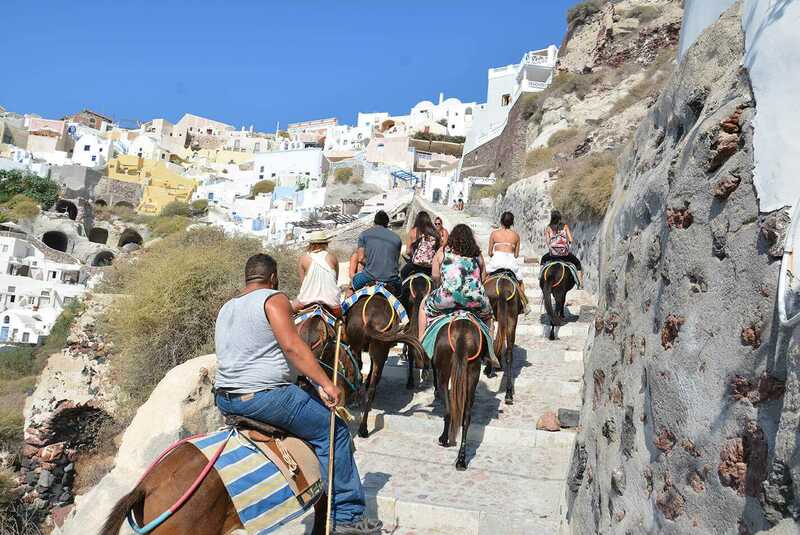 Santorini hosts 1.5 million tourists annually. This is an island associated with beautiful views, bright architecture, cliffs, beaches, and quaint towns. One of the most popular attractions for tourists is climbing the island’s famous steep steps. 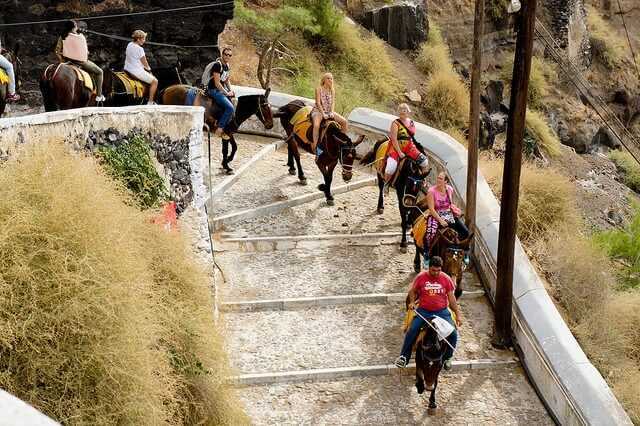 Donkeys used to be the only way to travel from the Old Port to Fira, but now there is the option of taking the cable-car up the steep incline or climbing the 587 steps by foot. But instead of doing this on foot, many people ride a donkey. 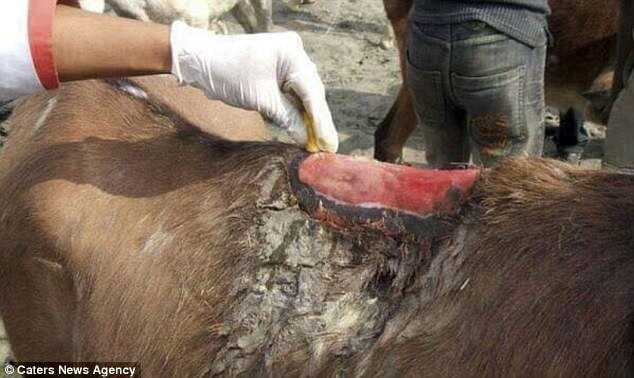 The practice of selling donkey rides to visitors is gaining a reputation for animal abuse. The donkey rides, which cost around €5, are a transport option that local mule owners provided for years before the cable car was installed. But animal welfare groups and even some cruise lines strongly urge travellers not to take the donkey “taxis” because the animals toil in poor working conditions and have been subjected to abuse and mistreatment by their handlers. These poor animals are commonly used for carrying people up the steep hills day in and day out in high temperatures with no shelter, water and rest, activists claimed and they often slip on the path, bearing injuries that are not treated well. The Donkey Sanctuary is bringing the issue to the public’s attention. 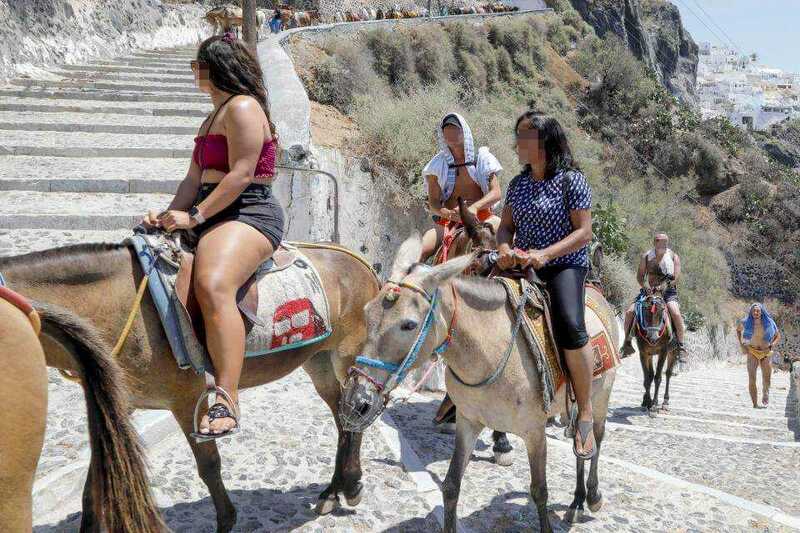 Though the donkeys might look cute, and the rides might appear to be a harmless and fun tourist attraction, travellers who use the mules as transportation actually contribute to animal abuse, according to animal welfare organizations. We’re hopeful to see the repaired shelters that will give donkeys the shade, rest and water they need. They should get the necessary comfort and should be treated well.